According to the American Cancer Society, prostate cancer is the second most common cancer in American men and about one in nine men will be diagnosed with prostate cancer during his lifetime. Ray Sousa was the one in nine. 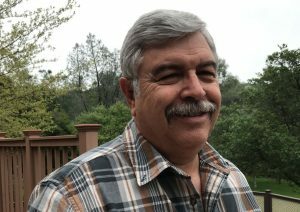 The 62-year-old Oroville, California resident was diagnosed with prostate cancer in August 2018. Starting around October 2017, Sousa experienced elevated PSA levels. His primary care physician decided to monitor his numbers and they watched them rise over the next six months until they rapidly increased in April 2018. Ray, who had no history of prostate cancer in family, had a Gleason Score of seven, which suggested he was at intermediate risk for aggressive prostate cancer. Treatment was the next step. When discussing the treatment for his prostate cancer, Ray’s urologist, who was a surgeon, leaned towards surgery. Not being able to help him with an alternative treatment option, Ray’s urologist sent all his information back to his PCP. The next morning, Ray’s PCP called him and let him know that he had prostate cancer back in 2010 and told him that he treated his cancer with CyberKnife. He shared his experience with CyberKnife treatment, telling him about the short treatment time and noninvasive procedure, and suggested that he consider it as a treatment possibility. Ray instantly requested that his physician send his records to Lacie and he found out the very next day that he was a candidate for CyberKnife and his initial consultation was scheduled. At his Reno CyberKnife appointment, Sousa said that radiation oncologists Jonathan Tay, M.D. and Jaime Shuff, M.D. took their time with him and explained the steps of the CyberKnife treatment process and the roles of the people on the treatment team. After learning about how CyberKnife was a noninvasive treatment, meaning no surgery, and that the treatments were only going to be five outpatient appointment, Sousa was sold. He also liked that the machine was so precise and that the radiation treatment was going to be pinpointed at his prostate cancer. Sousa was treated for his prostate cancer November 14 – 20, 2018. He said his CyberKnife treatment sessions were simple, quick, and comfortable. Ray also commented that he had several retired fireman buddies that had prostate cancer and after hearing about his treatment, they wish they had known about CyberKnife because they could not believe how easy it was for him. After his treatments, Ray said he felt good. He was a little tired and experienced some increased urination, but said he was not surprised or bothered by the side effects because Dr. Tay had prepared him for them. Also, Mr. Sousa noted that they were minor side effects and nothing that impeded his daily activities. He said it was back to life as normal after a treatment. Today, Mr. Sousa says he feels great and is cancer free! At his follow-up PSA this past February, Dr. Tay was extremely excited about his numbers because they went down from 8.3 to 4.2. His next appointment is in August and he looks forward to receiving more encouraging results.